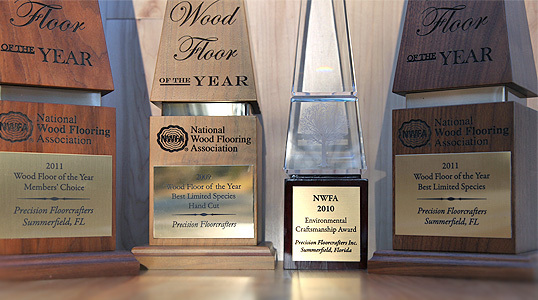 Precision Floorcrafters, Inc is a member of the National Wood Flooring Association and winner of prestigious awards three years in a row (2009, 2010, and 2011). We specialize in the installation of engineered, leather, cork and hardwood floors and provide services including sanding and refinishing,custom design and sales. Over the past 18 years, Precision Floorcrafters, inc has become one of the most recognized floor installation companies in Central Florida and the surrounding area. 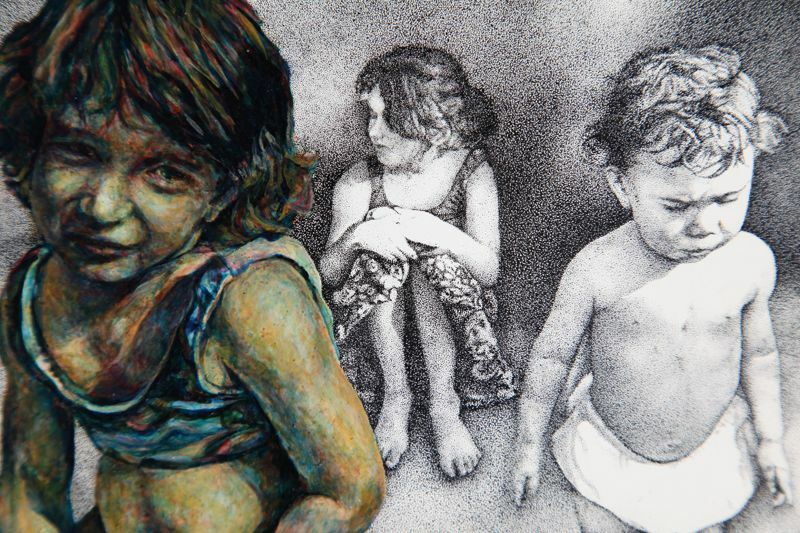 This recognition is, with no doubt, due to the consistency of beautifully installed floors combined with the warm and friendly service that so many customers have had the joy of experiencing. The work of Precision Floorcrafters has been featured in various magazines, in museums and many other notable places such as Extreme Makeover: HomeEdition. Creating works of art has always been a part of owner Matt Marwick's life so it was only natural to incorporate his skill and love for art into his flooring business. Now, with one of the best reputations in Ocala and the surrounding areas, (The Villages, Leesburg, Summerfield and Gainesville) Matt Marwick leads his team of professional floor installers in working extremely hard to ensure clean, precise and timely installation of wood floors, leather floors, custom floors and more, while maintaining courteous and friendly service. Copyright © 2010-2011 Precision Floorcrafters, inc . All rights reserved.